With Thanksgiving right around the corner, many people have already begun planning their Turkey Day feasts. Each family has its own special recipes made of rich fall flavors and ingredients. At YO Ranch Steakhouse, we have our own favorite recipes. As I consider each and every one of our guests an extension of my own family, it’s only fitting that I share these recipes with you. Whether you’re looking to bring something a bit adventurous to the table or would like a new twist on an only tradition, these recipes are sure to please your Thanksgiving Day guests. While tradition calls for turkey, it’s also a great time of year to enjoy wild game such as venison, elk, quail, wild boar etc. Of course, abandoning tradition may offend some of your guests, as many people wait all year to enjoy turkey. Instead, try preparing a smaller portion of alternative meat in addition to a delicious turkey for your Thanksgiving table this year. As the chef owner of a steakhouse that specializes in wild game dinners, I guarantee that including a game meat dish will bring intense flavor and special richness to your spread. Store in an air-tight container, covered, label and date. Spice will keep for 4 weeks. My favorite way to cook turkey is to brine and smoke it. While many of you many not have a smoker, you could simply brine it and roast it traditionally. Brining your bird makes for more flavorful, juicy meat and takes very little effort. Brining refers to the process of marinating lean meat in a salt mixture. Other ingredients such as herbs or spices can be added to the mixture to produce different flavors. If you have the luxury of harvesting your own bird, that would be ideal. However, since most don’t, I suggest starting the turkey search ahead of time to beat the rush. Keep in mind that fresh always beats frozen, especially when brining. The frozen variety tends to be injected with salt solutions and who knows what else. If frozen is all you can find, you may still brine it but with half the salt. When brining your turkey, you’ll need to do it at least 12 hours in advance. Dedicate enough room in your refrigerator for the turkey to sit in a large bucket, or stockpot. It’s very important that your turkey sit in the refrigerator the entire time it’s brining to ensure the meat is safe from bacteria. It soaks anywhere from 12 to 18 hours. The longer you leave it to soak, the more flavorful it generally becomes; however, leaving turkey in a wet brine for more than 24 hours is not recommended. 1. In large clean bucket or stainless steel stockpot, mix 2 gallons cold water and 2 cups kosher (coarse) salt and sugar until dissolved. Add remaining ingredients. Smoking the bird works very well because you can do it slowly, even overnight, and the smoky flavor compliments turkey incredibly well. If you don’t have a smoker, throw it in the oven. There is a variety of wood available that you can use to provide that distinct smoked flavor. I like mesquite wood normally, but it tends to burn faster. Apple or cherry are wonderful options, as well. Check it often or first thing in the morning if you cooked it overnight to make sure it has not burned out. A commercial electric smoker is easier and more consistent, but if you have the equipment and skills do it in your favorite pit. The turkey should take about 30 minutes per pound, but this varies. After about 6 hours, start checking it with a thermometer. The inner thigh should be at least 175 degrees and the inner breast 165 degrees. 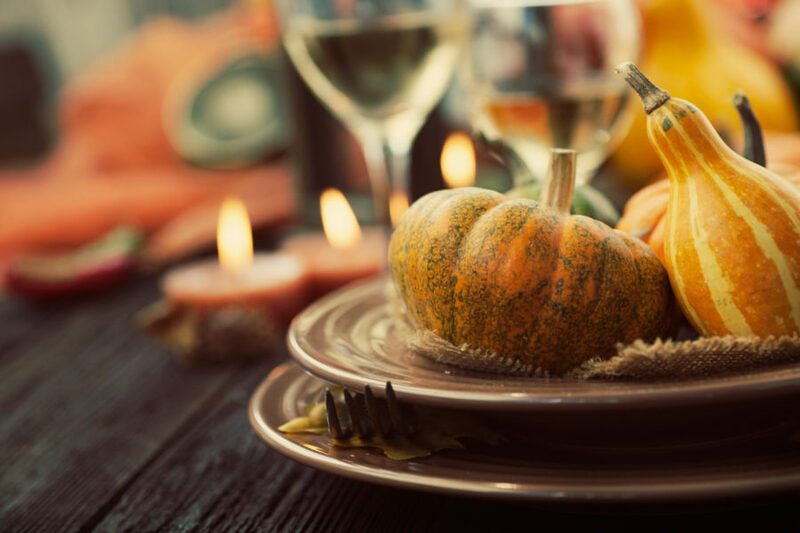 If preparing a Thanksgiving spread is not your specialty, we welcome you to join us at our restaurant in Downtown Dallas for an unforgettable meal. Our special menu includes everything from the traditional turkey feast to YO Ranch specialties, such as our Buffalo Filet Mignon and Prosciutto Wrapped Scallops. Don’t forget to leave room for dessert – Jack Daniels Pecan Pie, Pumpkin Cheesecake, or Sweet Potato Crème Brulee. 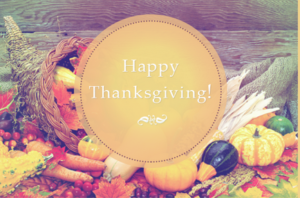 Thanksgiving is not about who prepares the meal, but who you share it with – and I’d love to share it with you. Make your reservation to save your spot at our table today.